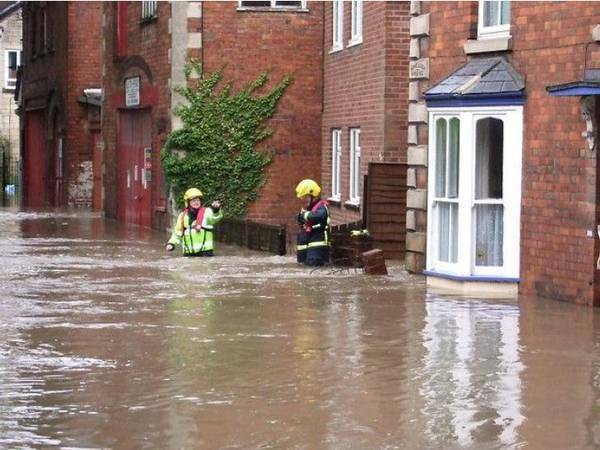 The catastrophic 2007 UK flooding was caused by rain within normal range of UK rainfall; though climate change due to global warming may have played a minor contributory role. We have been told that “nothing could have been done” to prevent the floods, that we need to “learn the lessons here”, and that more heavy infrastructure and huge investment will be required to alleviate future flooding. As any student who studied the Water Cycle should know, something is fundamentally wrong with these claims. The key “lesson” here and main cause of our flooding (and also regular droughts) is the inability of our land to properly store and infiltrate rainwater. It has been estimated that during the last 5,000 years of human activity in the British Isles we have drained around a quarter of our landmass – we now need to restore space in our landscape to store rainfall. We flood therefore because we simply have no effective plans to prevent flooding and make no proper attempt to allow for the effects of development or modern agriculture. Further expenditure on downstream flood ‘defences’ and better drainage can often make matters worse. Conventional flood defences just displace flooding, rather than prevent it. Improved maintenance of drains often contributes to flooding downstream. Disposing of rainwater to the sea is often contributory to the next water shortage. Water is entirely predictable in terms of volume and storage required in the landscape to prevent flooding. We need flood prevention strategies and plans that act on the causes of flooding and allow for storage of rainfall in the countryside – where there is ample room. Upstream storage is a cheaper and safer alternative to conventional flood works, and can benefit agricultural & local economies in a variety of ways. ‘Water in the landscape’ is an important economic resource; lakes & ponds can be used to develop hydropower, fisheries, irrigation, leisure and other important functions. This is primarily a job for agricultural engineers, landowners and the community – at a local, ‘grass-roots’ level. Effective flood control has profound implications for the way we should be managing our water resources, and who should be managing them. This is best achieved at the local level as required by Agenda 21, Chapter 18.